The still unsolved mystery of the theft of a valuable gold and emerald artifact from a Bermudian museum has served as the inspiration for a new book by a former Bermuda resident. The Cross – written by B.R. Bentley – was inspired by the theft of the Tucker Cross in 1975. The Canadian citizen [B.R. 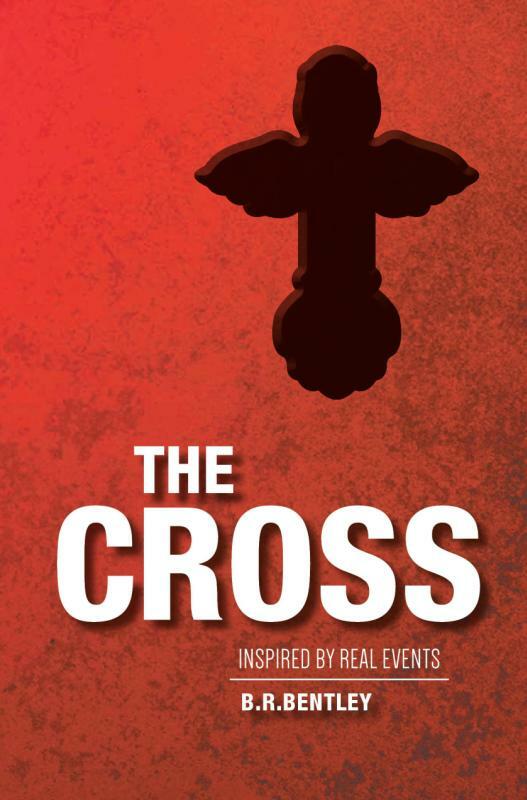 Bentley is a psuedonym under which he writes] said he was intrigued by the story of the Tucker Cross from the moment he first heard of it in 2007, and thought it would make a great novel and/or movie. Found by legendary Bermudian diver Teddy Tucker in 1955, the emerald studded 22 karat gold Tucker Cross was considered one of the most valuable pieces of sunken treasure ever found at that time, and is believed to have come from a Spanish galleon which was lost on the reefs in the 1500′s. In 1975, just before an official visit by Queen Elizabeth II to the Maritime Museum to view the treasure, it was discovered that somehow the Tucker Cross had been stolen and a replica left in its place. Despite an investigation which reputedly involved multiple international agencies, the original has never been recovered, and the crime remains one of the marine community’s greatest unsolved mysteries. The book’s description says, “After nearly 400 years, an emerald-encrusted gold pectoral cross belonging to the Catholic Church is discovered by two salvage divers off the coast of Bermuda. “Carried by an Augustinian friar on the ill-fated Spanish galleon San Pedro, which sank in 1596, the cross contains a priceless hidden key. “The divers want it for the money. The Bermuda government wants it for its historical value. A group of cardinals known as the “Silenti” want it for the key hidden inside. Only one of the divers and the cardinals are aware of the key. Only the cardinals know of its significance to the Papacy. “Displayed in the Bermuda Maritime Museum since its discovery, it is not until Queen Elizabeth’s visit to the island nine years later that the cross in the museum is found to be a fake,” the book’s description continued. “Who made the forgery and who stole the original cross? Who has the key and what is its significance to the Church? Very interesting and I never knew there was a key involved in this theft. Well, that may be a clue…. Was there really a key or was that just fiction for the book? That’s how I read it. What is the value of this cross if anyone knows please? It is quite an interesting story. What was the security like back then? I have 1000 pages of work on this matter. If you research it you will find the evidence needed for a prosecution. A duplicate was made in England. At that time you use to be able to buy plastic replicas of the cross, which were sold in tourist shops. News reports at that time said it was a plastic replica that was substituted for the original. As for security, prior to the entire treasure being moved to the Maritime Museum, the entire treasure was on display in the Aquarium. It was in a heavy glass case the shape of a small refrigerator. It was very impressive but as I understand it, it wasn’t locked even though it clearly had a lock! Unreal, does it have a dollar value? There is no monetary value on this per sey. And yes the glass encasement did have a working locking device Mr. Rego. An article on the “Atocha” in the Virginia Pilot Business section on August 5th 1999 drew my attention. It had a similar cross that depicted at a display. I thought it was the “Tucker Cross” at first but it was not as it had more square emeralds encased. I was there when the theft was reported along with then Insp. Laury Jackson. Certain comments were made by those responsible for it’s safety. The rest is history or his story. The replicas that you speak of were not the same size as what you purport to have been sold to tourist. Is this a case of don’t ask don’t tell? What I liked…Bentley brings an event or events during a period in Bermuda history to life through skillfully weaving fact and fiction within the lives of (almost) believable characters. The sense of being in Bermuda and “tasting” some the sounds and sights is at times palpable. Political/racial undertones provide a wry comment day to day life as seen from the perspective of the “invisible” commentator…and it works. The Catholic setting resonates with the evidence and whilst I am not directly suggesting the author deliberately sets out to tease the reader with hints of The Da Vinci Code and subsequent novels, there is certainly echoes of Dan Brown in Bentley’s writing…and why not, the genre works after all. What I did not like or perhaps what I would have liked expanded on were some of the characters…and a “shortening of the time frame” represented in the book- For me it caused the initial exciting pace to muddle on in the middle of the story…and became a little contrived. It also forced the characters to prematurely age and disappear…Kat grows to a point then sadly (for me) disappears and becomes a non character whereas I felt she offered so much more in terms of intrigue and excitement…perhaps this is the “naughty” side of me but the sexual tension disappears when Kat “disappears”…her seeming ease with which she moves from femme fatale to “married with kids” was not convincing…and then to kill her off along with her daughter just did not gel with me. I read the book in two sittings…which is a reasonable norm for me, regardless of length of book…and I will not do so if I am not engaged in the story…The ending left me hanging, and I await Bentley’s sequel to put me out of my misery. A fine literary effort and a story which I am almost sure will find its way to the Hollywood screens.